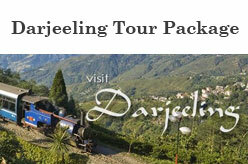 Darjeeling Tour Packages from Bangladesh offered by Bangladeshi Tourism companies based in Dhaka. BDT 14,500/- Cost 2 Pax. BDT 13,500/- Cost 4 Pax. BDT 12,500/- Cost 6 Pax. Deluxe Room Accommodation, All Transfers by Non A.C. Vehicle, Breakfast and Dinner at the Hotel, Sightseeing, Guide service and more. Gulshan -1, Dhaka – 1212. 7 Darjeeling Package Tour From Dhaka by MAM Holidays. Includes double sharing accommodation, Daily breakfast, Bus stand/ Railway station transfer, all sightseeing as per as itinerary by Non A/C Vehicle with Fuel, Driver allowance, Parking toll, Road tax. Not Includes Air fare, Bus fare, Train fare and Insurance, personal expenses, Lunch & Dinner, Entry fees, Camera fees to the monuments and Monuments entry fee etc. Per Person (min 2 pax required) 15,000 Taka. 429, Farmview Super Market (3rd Floor), Farmgate, Dhaka 1215. Bangladesh tourism package to Darjeeling. * Tour duration / package prices & other information may change time to time. contact related tour company for latest update. Or wait for our next update. Page updated : 13th May, 2017.